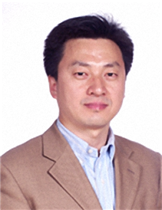 Yanglong Hou is currently a Changjiang Chair Professor of Materials Science and Engineering at Peking University (PKU). He received his M. S. degree (in Applied Chemistry) in 1998 and Ph.D. degree (in Materials Science) in 2000, respectively, from Harbin Institute of Technology. After a short post-doctoral training at Peking University, he worked at the University of Tokyo from 2002-2005 as JSPS foreign special researcher and also at Brown University from 2005-2007 as postdoctoral research associate. In December 2007, Dr. Hou jointed College of Engineering at PKU, where he was appointed as tenure-track Professor. He was promoted to Professor in 2012 and to Chang Jiang Chair Professor in 2014. Professor Hou’s current research focuses on the design and chemical synthesis of functional nanoparticles and graphene, and their biomedical and energy-related applications. His research makes impacted contribution in monodisperse magnetic nanoparticles, magnetic nanoparticle-based molecular probes for diagnosis and therapy, and graphene-based composites for energy conversion and storage, in which has produced 12 China patents (5 issued) and over 110 papers in prestigious journals. Professor Hou’s research excellence was recognized by an elected JSPS fellow in 2003, Outstanding Young Investigator of National Natural Science Foundation of China (NSFC) in 2011, the Green Biomedical Award in 2012, CCS-RSC Young Chemist Award in 2013, Changjiang Chair Professorship of MOE and Young Talent Leadership of Science and Techonology of MOST in 2014. Professor Hou is currently an Editorial Board Member of several international journals including Scientific Reports, Science China Materials, Rare Metals, and Advance in Chemistry, etc. He has also been invited to deliver talks for over 30 times in international conferences.